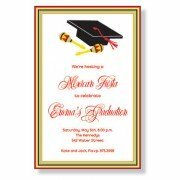 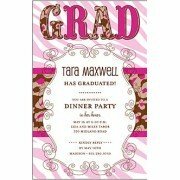 This 5.75" x 8.75" invitation is perfect for a Mexican theme graduation. 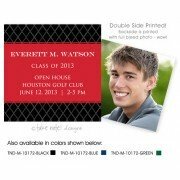 White envelopes included.. 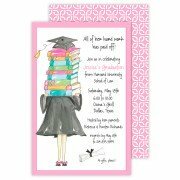 Your student's big day is coming up, and that's definitely a cause for celebration. 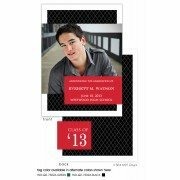 For the ceremony itself or for the post-ceremony festivities, you're definitely going to want to make the announcement with the perfect graduation invitations. 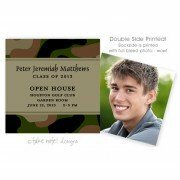 For such a special day, the invitations often double as keepsakes or additions to the perfect scrapbook. 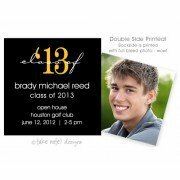 For that reason they should boast plenty of personality. 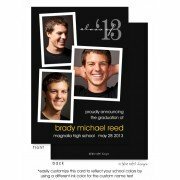 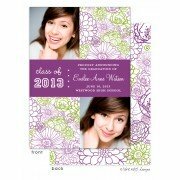 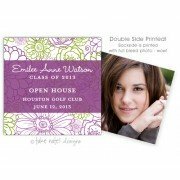 Whether you want to include a graduation photo on the front of the card, choose a girly print that complements the grad's personality, or create a formal and sophisticated invitation, we have everything you need at Invitation Junction. 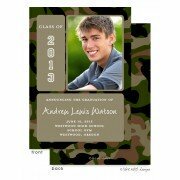 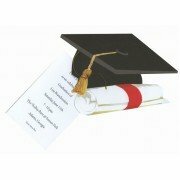 Find graduation invitations in the shape of a cap, personalized to suit the school's colors, or in a print that complements your style. 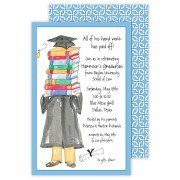 No matter how unique your grad is, we've got an invite that screams their name.